Movie adaptations these days are so rampant no one really knows which movie every fan boy or girl should choose to watch. And this August, The Mortal Instruments: City of Bones, another movie in the line of The Twilight Saga, will make it's debut on the big screen hoping for another huge box office earnings. The movie, which was based on the book written by Cassadra Clare, is directed by Harald Zwart and is adapted to screen by I. Marlene King and Jessica Postigo. It stars Lily Collins as Clary Fray, Jamie Campbell Bower as Jace Wayland Robert Sheehan as Simon Lewis, Jemima West as Isabelle Lightwood, Kevin Zegers as Alec Lightwood, Godfrey Gao as Magnus Bane, Jonathan Rhys Meyers as Valentine Morgenstern, Jared Harris as Hodge Starkweather, Aidan Turner as Luke Garroway, Lena Headey as Jocelyn Fray and etc. 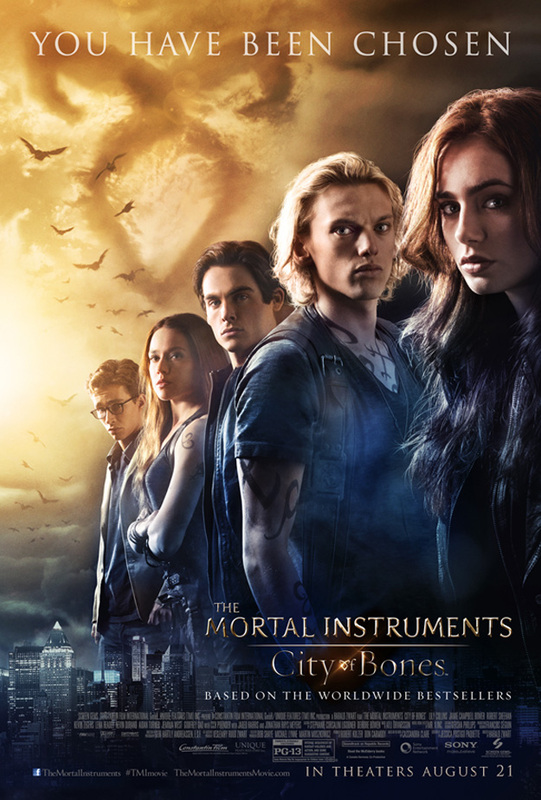 Here is the new poster of The Mortal Instruments: City of Bones. To know more about the movie, here is a new featurette that debuted over iTunes, followed by the official synopsis and the new "Her Power Is Our Only Hope" sneak peek released over Facebook with Lily Collins introducing us to the world of The Mortal Instruments. The Mortal Instruments: City of Bones will be released on August 21, 2013 in theaters near you.